The efficient way to create low-lying fog on demand. • More efficient than conventional means. 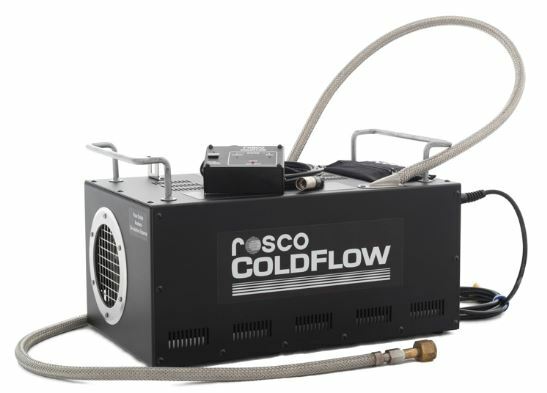 • Can be used with almost any Rosco fog machine. 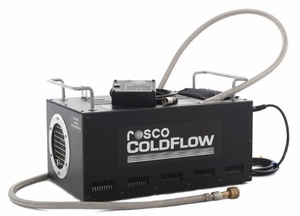 The Rosco Coldflow is an accessory for standard fog machines that converts liquid carbon dioxide (LCO2) to dry ice. The dry ice cools a uniquely designed aluminum extrusion that is capable of converting large volumes of fog into dense low lying fog. The unit can create a wide range of low lying fog effects from a continuous layer to a gigantic cloudburst.